An offer letter is a piece of document which an employer hands over to a new employee when he/she joins a job in the company. As an offer letter is an official acceptance of an employee in a company, there is a lot more to it than just stating that the candidate has been selected for the job. 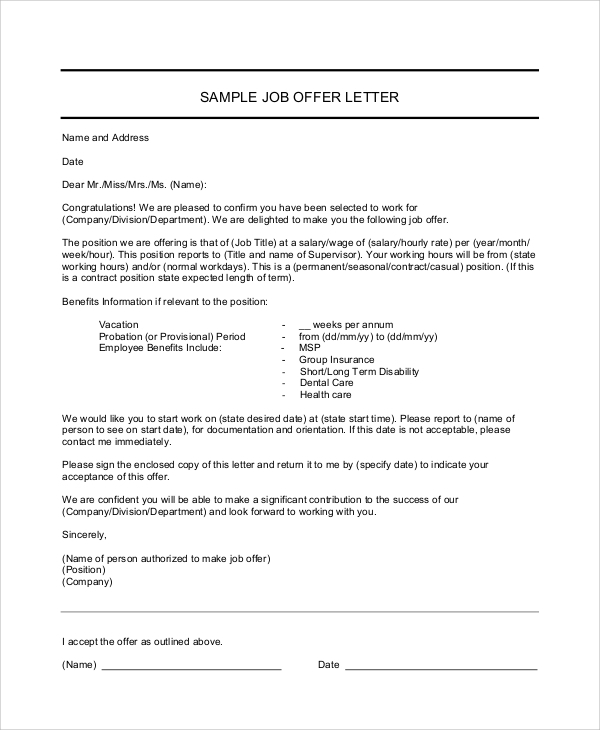 As a result, we have provided many different types of offer letter samples here to ensure that an employer is able to create their very own professional and effective offer letters. Use the Sample Letters as per your requirement; print them, edit them, and use them as you like. This sample letter is more of a format than being an actual letter. This format can be used by an employee if they want some particular changes in the company. 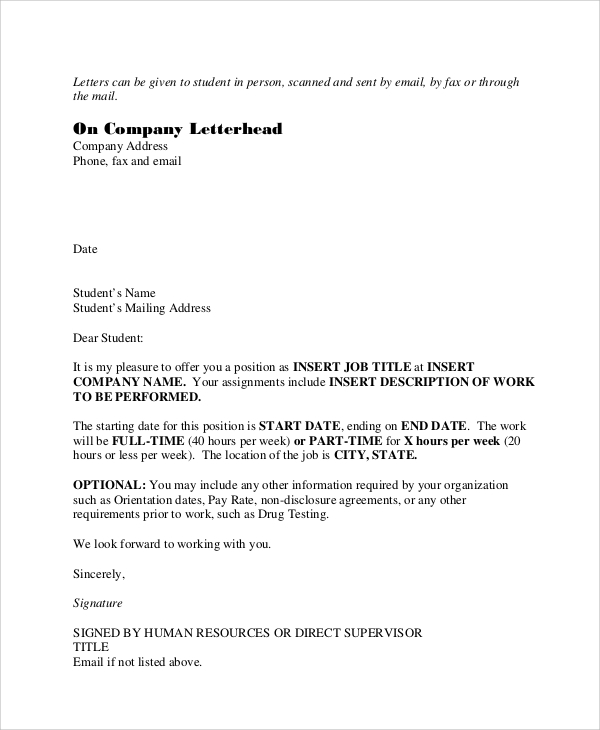 The letter format has all the information that one might need to create a counter offer job letter. 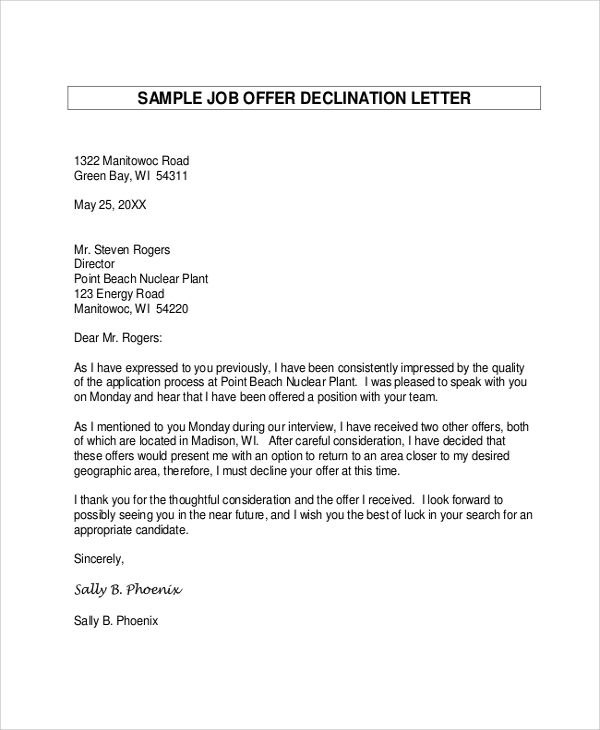 Candidates can use this letter when they are selected for a particular job in the company they applied to. The document can be easily edited before printing it to ensure that it has all the relevant and accurate information. You may also check out Internship Offer Letters. 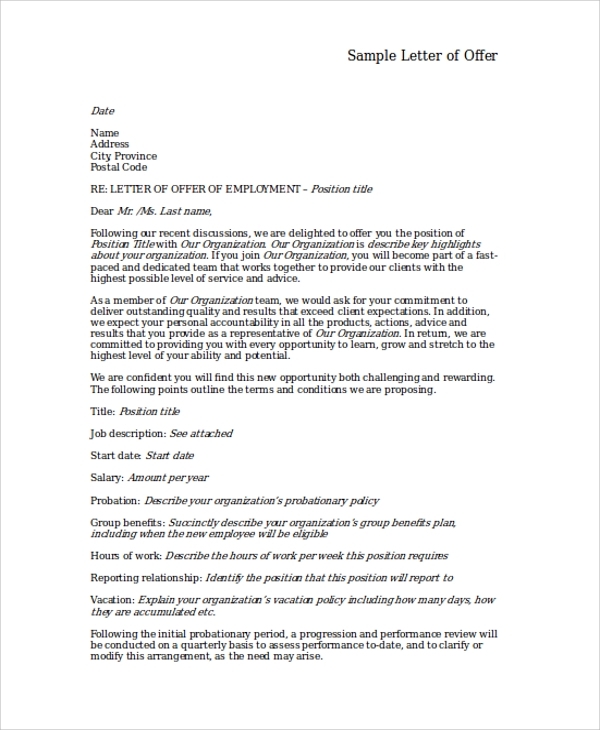 This letter can be used by employees when they receive an offer letter from a company. The pleasing and professional tone of this letter is sure to create an excellent impression on the employer. 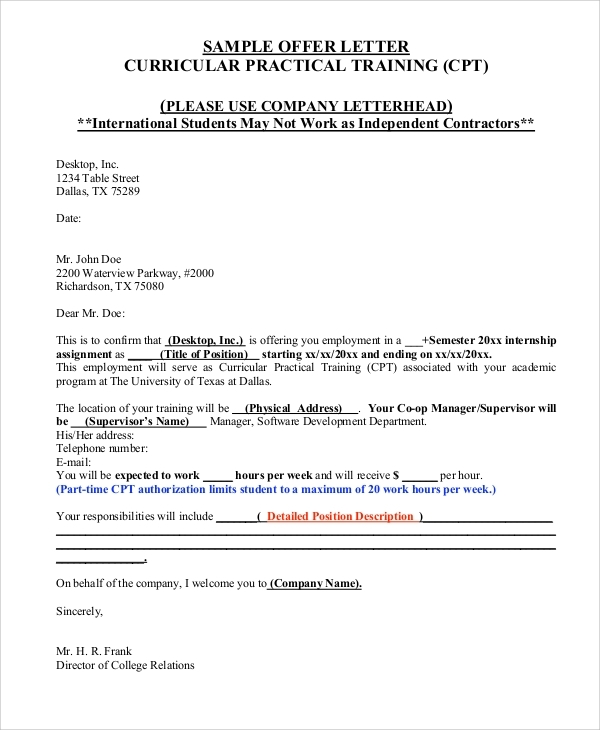 Download the letter and edit it the way you want before sending it to the employer. No matter what post one joins a company in, an employer is required to provide the employee an offer letter before he/she joins. Be it Real Estate Offer Letters, counter offer job letter, or any other type, it is very important for the letter to have a professional tone and this is where the offer letter samples can be useful. Select the sample that suits your requirement, download it and edit it before mailing it to an employee. You may also print it to hand it over to the employee. 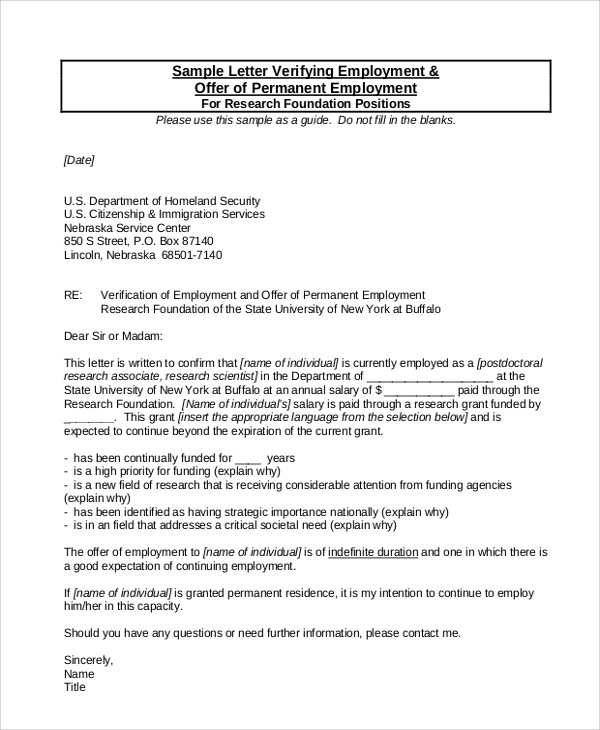 If one is looking for a straightforward offer letter, this sample letter can be of great use. 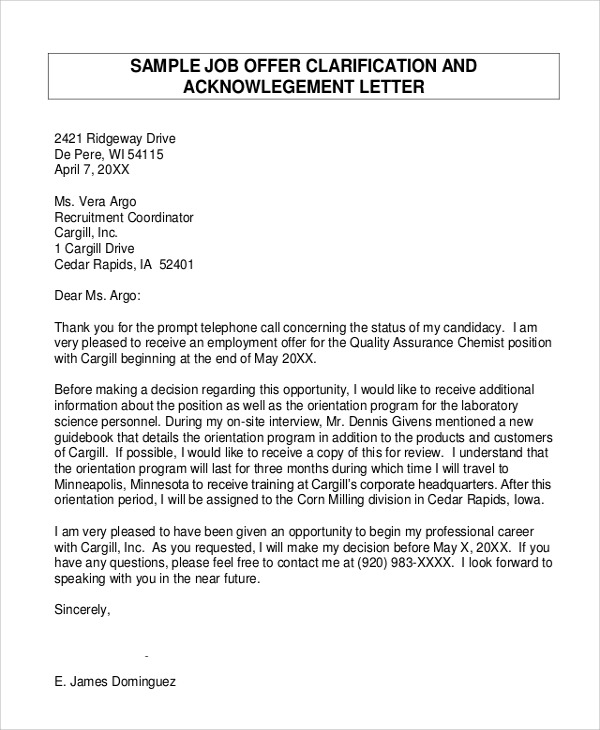 Employers can send this letter to the selected candidate and mention his/her role in the company, the salary, and other important information. 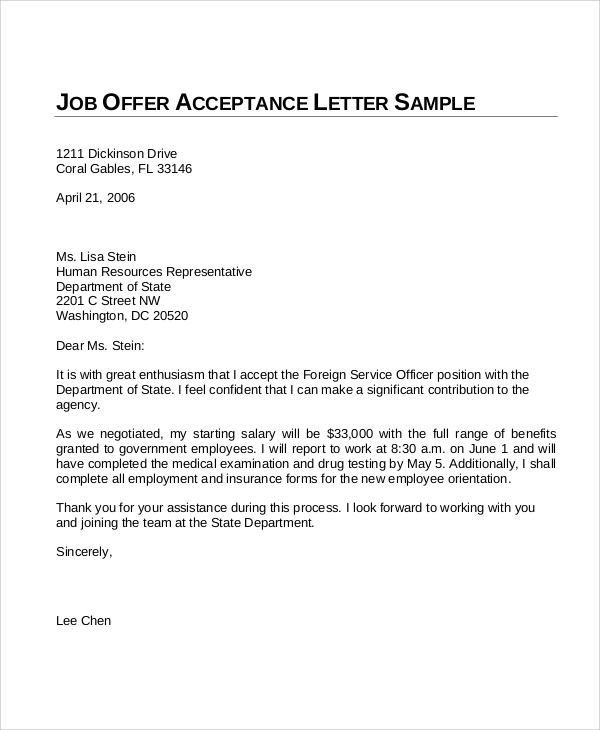 When a candidate is not selected for a particular job, the employer can send them this job offer rejection letter to state that they are not selected for the job. The professional and positive tone of this letter will ensure that the employee receives the news in a subtle manner. How to use an Offer Letter Sample? Many different types of letter samples are available here to ensure that the employers and employees have a variety of options to choose from. Depending on your requirement, choose a sample and download it. 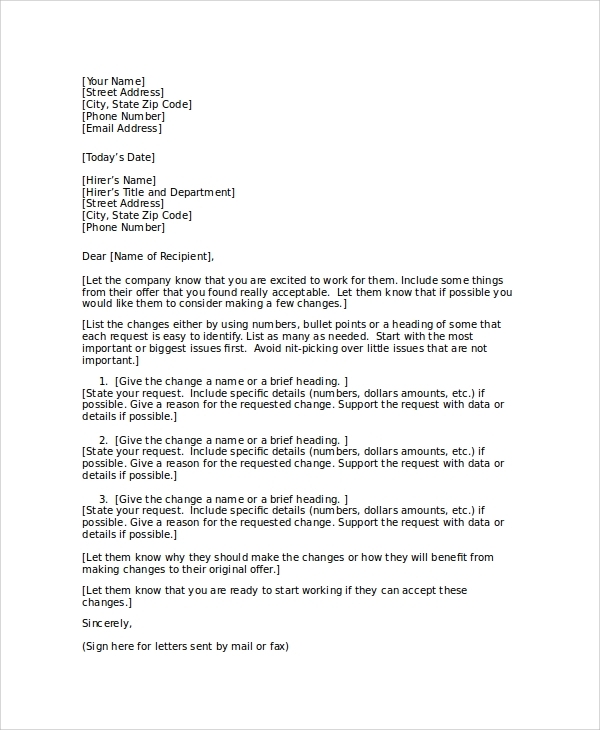 After downloading one, you can easily add all the relevant information to the letter before sending it to the employee. Why use an Offer Letter Sample? It is very important for an offer letter to have a positive and professional tone. All the samples available here have been carefully crafted to ensure that they deliver the selection or rejection news to the potential candidate in an effective manner. 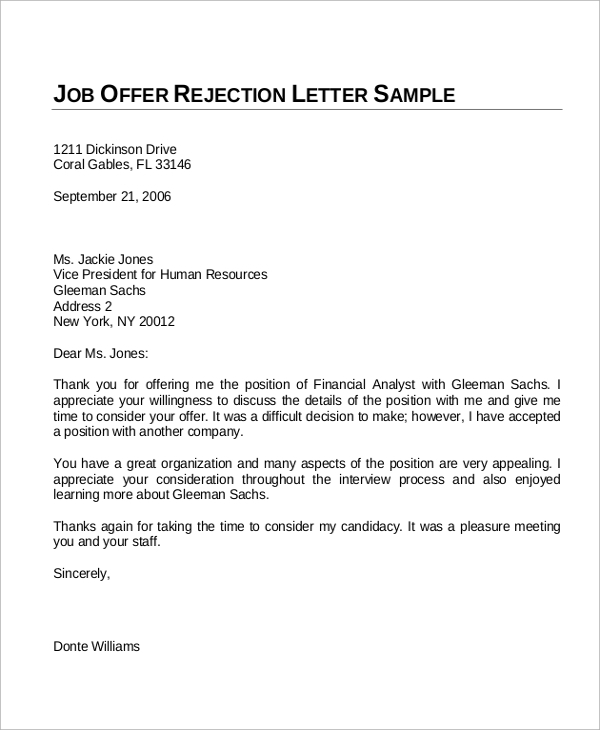 With the help of these samples, you can quickly create effective offer letters. Be it Decline Offer Letters or job offer acceptance letters, one can find many different types of offer letter samples for a variety of applications. After downloading one, you can easily edit the letter before mailing it to the employee, thus eliminating the need to write a letter from scratch. Once downloaded, you can use the letter for all the future employees and save a substantial amount of time and efforts.